We are back in Malta after a very exciting Spiel! 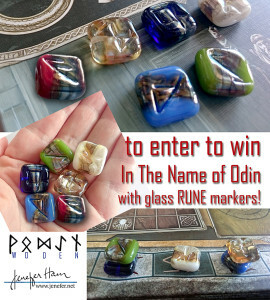 We did the drawing for the Spiel attendees giveaway of In the Name of Odin (plus RUNES markers) a couple of days ago, and Rahdo posted it on the 18th, but I woke up this morning thinking ‘holy cow! 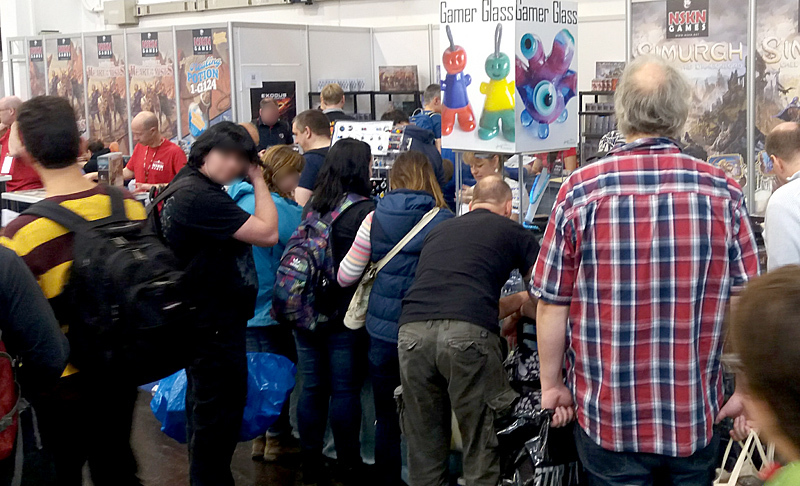 I haven’t put it on my blog!’ so without further delay, here is the video showing the winner from the Essen Spiel drawing. We’ll be doing a second drawing for another copy of In the Name of Odin (plus RUNES markers) on Monday Oct 24th for all those who are subscribers to my blog. 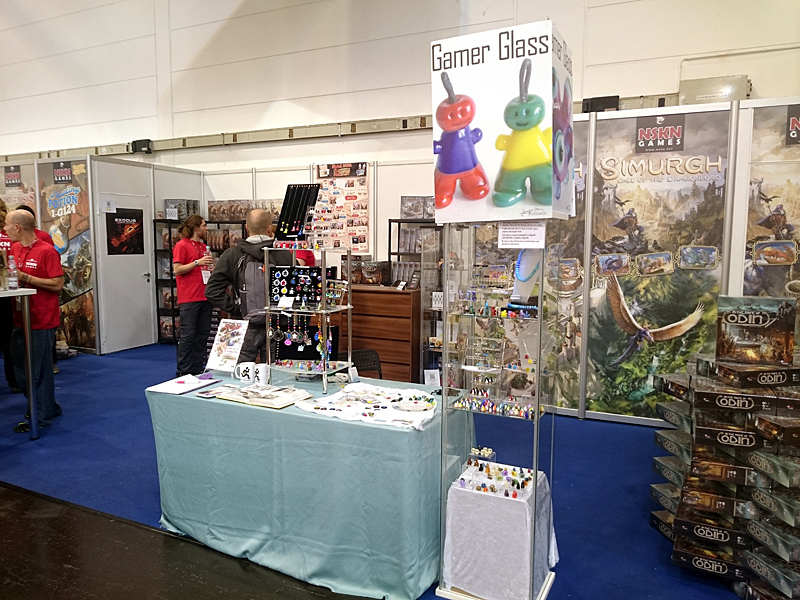 In case you didn’t get to Essen, here are some photos of my stand. I enjoyed meeting so many nice people! 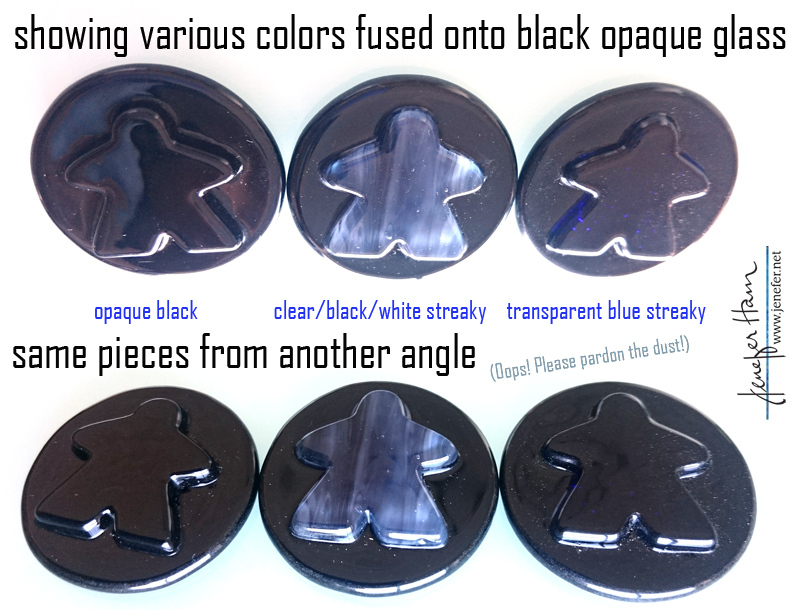 My new meeple jewelry was especially popular, and I have had lots of inquiries about if the streaky blue could be put on black, so I thought I’d share some photos of the experiments I did with black on black, streaky black (which actually is composed of white, black and clear) on black, and then streaky blue (a transparent glass) on black. You can barely see a flash of blue if the lighting and angle are juuust right. Black absorbs all (transparent) colors! Lastly, I’d made 20 sets of RUNES at a special Spiel price and I’ve just checked and it turns out that I have two sets left! 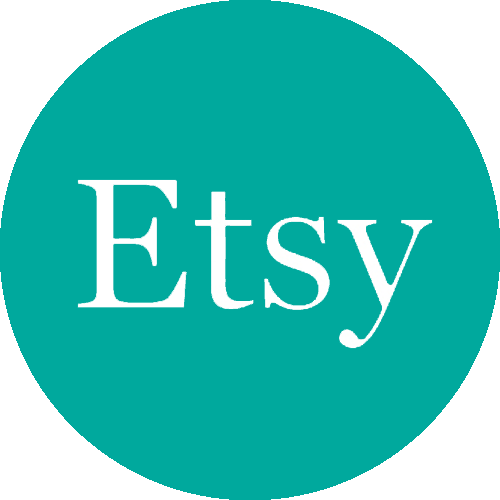 So I’ve adjusted the listing on Etsy so those two sets are available now at the special Spiel price. Best of luck to all of you for the drawing on Monday. I’ll be back here then to post the video of the drawing! Looks like I won! Awesome! Thanks for the competition. I’m delighted because I stopped by your stand and thought your Runes were amazing. I’m sending you personal details by email.